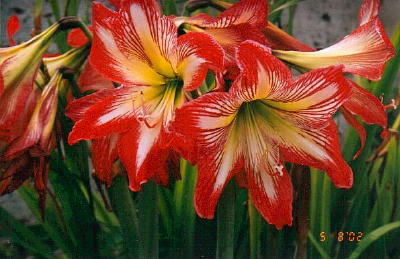 HABIT: Spectacular spring flowering bulbs. Long strap like foliage that often does appear until flowers fade away. Red funnel shaped flowers. CULTURE: Easy to grow in well prepared soil, but will adapt to most all soils. Clumps can be divided and replanted in the fall or winter. Necks of the bulbs should be left just above ground level. USES: Spring color, forcing at Christmastime. PROBLEMS: Finding the plant in nurseries.